The Pro First 210 is an unique stylish mailbox offering a modern look, also has a top loading letter slot with protective flap for maximum A4 envelopes. Made from high quality grade steel, it is secured by a key lock supplied with 2 keys. Available in Black, White, Silver and Stainless steel. 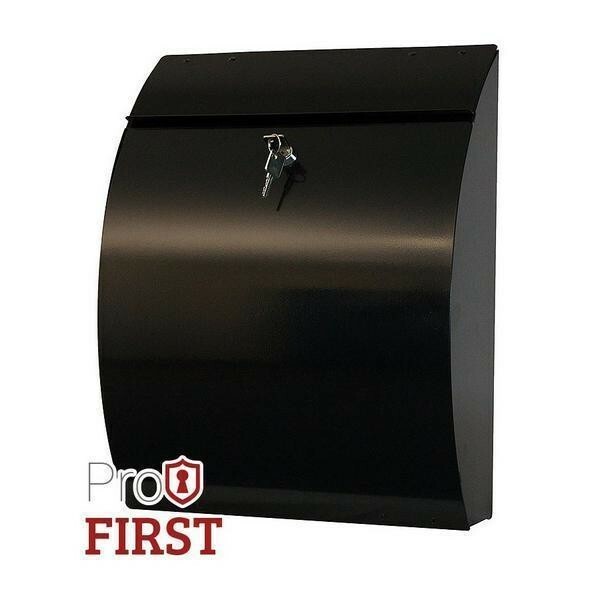 Profirst 210 Black Stylish Mailbox. Top loading A4 letter slot with roof flap. Easy access to mail via drop down door. Made from high grade steel. 3 other colours are available.